We want to make your purchase as affordable as possible so why not take advantage of some great discounts in our Ambassador Price Plans starting from only £252.00. You can get started immediately by selecting the payment plan that best suits your budget. Simply select your preferred payment option below to purchase your copy of the Ultimate Customer Service Training Programme. 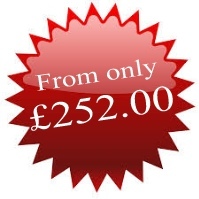 If you’re looking to purchase the Ultimate Customer Service Training Programme for 5 or more team members then we have even more exciting discounts for you. In addition to the payment plans above we’re also reducing the price – the more you buy the lower your individual investment! See Volume Pricing OptionsClick here to see the discounts for 5 or more team members. You’ll immediately see how much discount you’ll receive based on the numbers of learners taking the programme. Easy!